Want to get your festival on this weekend? 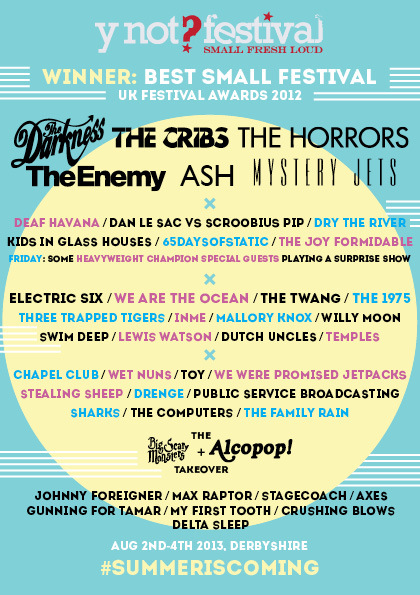 Check out Y Not Festival in Derbyshire! Have you seen the line up? Its a corker! Winner "Best Small Festival UK 2012" Y Not Festival put on one hell of a show. Multiple bespoke bars, rolling countryside & the best tunes to make Summer 2013 the best ever.